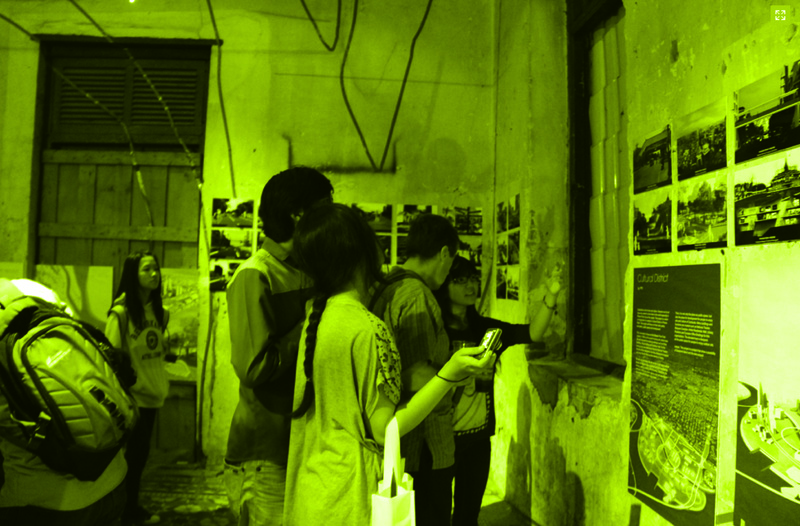 In 2012, students taking my IDC Collab: Urban Interventions course were the first of the Living Arts City cohort to study Phnom Penh and the artists working there today. This essay consists of my reflections on the methods of looking and making that emerged during the two-year practicum. Urban intervention or the word ‘intervention’ has come to mean many things. 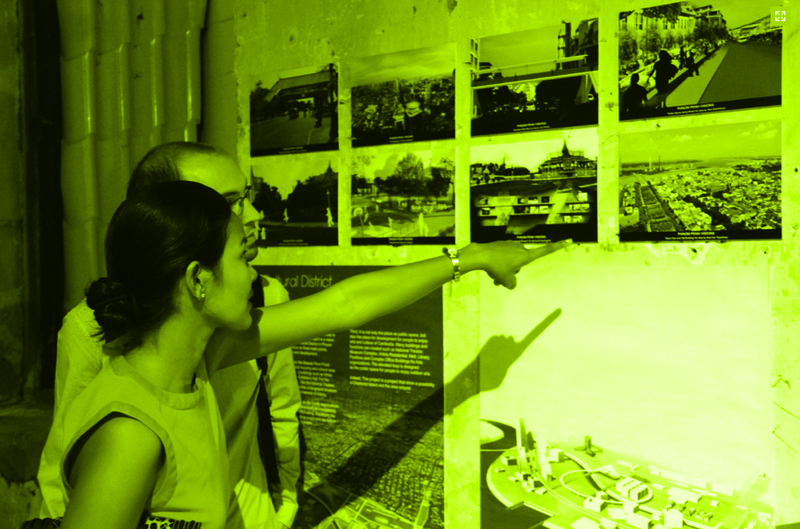 In design, intervention points to initiatives that improve our everyday experiences. There is an underlying grassroots connotation that puts the designed intervention in the public’s hands. The word ‘intervention’ has come to be synonymous with actionable ‘do-gooderism’ ranging from municipally-planned bike lanes to unsanctioned, spontaneous acts such as chair bombing. Interventions are also quick to be associated with performative statements hewn through paint, costume, and a range of mobile materials. These are temporary and adaptable solutions applied in cities. The first assignment in my Urban Interventions class asked students to research the artists and interventionists participating in the Season of Cambodia symposia. Students were instructed to identify themes in each artwork and consider if any could be applied to the development of their interventions in New York. Of the artists' work, perhaps the most accessible to the class was Khvay Samnang’s Samnang Cow Taxi Moves Sand. This project's ridiculous premise cuts quickly to the direct relationship between Phnom Penh's rapid urban change and its population. Samnang invites you to ride on his back, transforming the viewer participant into the spectacle. Immediately, the viewer participant is offered a new lens to observe dramatic shifts between the old and the new with humor and without forgetting or missing the metaphor and sacrifice. Samnang Cow Taxi Moves Sand is akin to a growing canon of urban "arterventions" that can find their roots in the work of Vito Acconci, Gordon Matta Clark, and Adrian Piper. 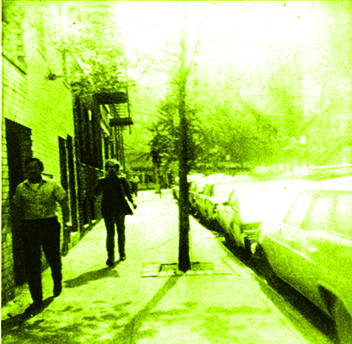 The Following Piece was conceived for an exhibition titled Street Art IV in 1969. 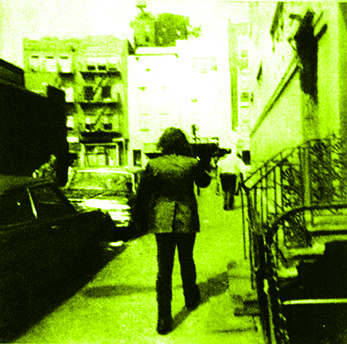 The Following Piece, Vito Acconci, 1969, Performance. 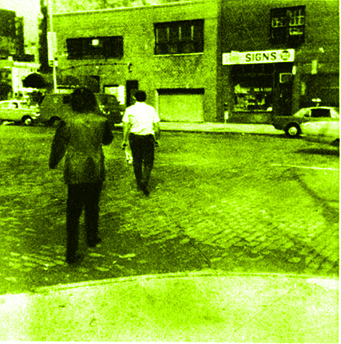 In it, Acconci documents himself following individuals for exceptionally long periods of time. The Following Piece is about getting lost in a routine rather than a city, however its push into real-time and a notion of "us" and “flow” as art was a revolution. It is immersive, systematic, and disturbing. It is not too far away from what John Dewey imagined as the future for art in Art As Experience, but just far enough away to keep it as art within the confines of its time. It was as done and documented. The documentation become art deconstructed and the “thing” or the “work” itself was in the gallery—hung among white walls as art with a big A. In particular, Samnang Cow Taxi Moves Sand precipitates similar affects as actions taken by Liz Christy and the Green Guerillas. Each of these actions is about labor. But above all, they are still art, similar to the book nooks found nested in unused pay phone kiosks throughout New York City neighborhoods. They are also art, only they are not fixed. They sit outside of the auspice of actionable design intervention. However, their visual power, durational performance, and inherent strain live briefly as metaphor in real space and find their second life as visual statements in our memories. They do not solve problems. They point toward problems with memory, sweat, and distance—making pain and physicality the material and awareness an outcome. Samnang Cow Taxi Moves Sand is a temporary experience that is directly linked to time and the shifting urban terrain. 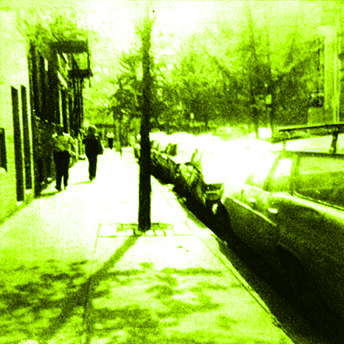 Mobility in this case is the medium and the message considering the viewer participant's understanding of mobility is in essence a braided one. The physicality of the work— the absurd action of carrying people along a road adjacent to the Mekong River, miles out of the city—is conceptually mobile in two ways because it balances both sides of Phnom Penh: urban expansion and, for lack of a better description, practical anarchy. 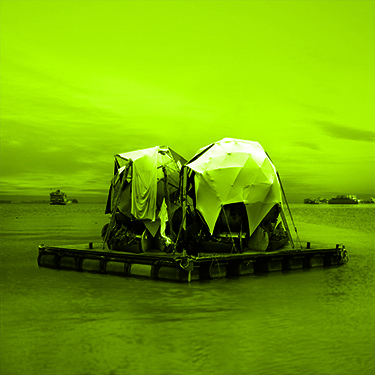 Samnang's work is in part a response to urban sprawl and its direct effect on the Mekong River. What did I learn from Samnang Cow Taxi Moves Sand about doing temporary public art and design that directly impacts the urban landscape? Do ‘arterventions’ and interventions share equal resonant power? That was the real task at hand and it was something I had to quickly re-explain to myself as a viewer in order to work through some of the challenges of a course that was looking to Phnom Penh to make work in New York City. The answer is not surprising. Yes—‘arteventions’ and design interventions have the potential to impact the viewer participant the same way because both practices connect to our collective sense of personal involvement, investment, and desire to understand something. Both rupture our routines and everyday experiences. Both cut through the first layer of normalcy and present something new that affects us to the same degree. Both are temporary and in real time. Both are forced out with pops of hyper-creativity. In Phnom Penh, shortly after taking in the daily jazzercise spectacle, I found myself standing atop Vann Molyvann's Olympic Stadium surrounded by a group of Living Arts City students and faculty...Together we listened as Brian McGrath recalled the history of the stadium, including the surrounding (now lost) moats for drainage inspired by the temples of Angkor Wat. Mollyvan’s link to Cambodia’s cultural heritage is as powerful as the intention and civic purpose found in his work. Somewhere in this experience, I considered the connections and overlaps unfolding in interventionism. As we wandered the complex and toured the adjacent indoor stadium, we recognized that certain areas housed multiple activities, from martial arts to badminton. In other areas, this relic—whose uncertain future stands in contrast to its solid ‘bones’ and once sure purpose—was consumed by darkness. It was now home to hundreds of bats. Immediately outside, there is a construction boom. From the stadium complex, it was clear that Phnom Penh is chaotic; its cultures of old and new are spreading like a loose net. Much like the stadium, for the time being, it is the people’s platform for doing (even if doing is just dancing to blasting house music while touching the sky next to the pivoting cranes). Interventionism provides an attractive and accessible liquidity for the makers and the viewer participant. 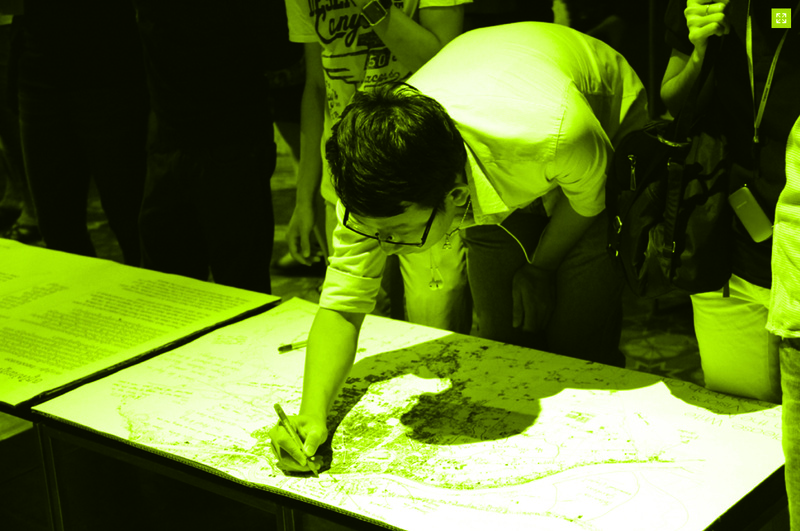 I see it as having two parts: (a) immersion or living, making, and working collectively in a rapidly changing city. In essence, immersion is about different people growing into a consensus about what to make art about and sharing ideas for a period of time. (b) action or the temporary performative element. This makes the object, sculpture, or edifice—something temporary, which then takes on a separate life in its documentation (where the work hopefully meets its assumed market) to complete the maker-viewer-participant experience. By focusing initially on the immediate attributes, we could easily link the Cambodian artists-in-residence with similar performative interventions in New York. Consider Mary Mattingly’s Waterpod (05) or Bro-Lab’s Bench Press (06). 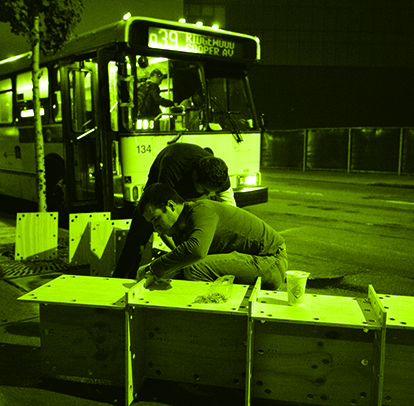 The work directly engages with the city, but the objects and artists are mobile. Our understanding shifts as the interventions unfold. Once action is realized, the immersion can be teased out through discussion and reflection. The viewer-participant can quickly deduce the ‘fix’ or the ‘why’ underlying the intervention. Speaking as a member of BroLab and co-creator of Bench Press, I can say that it began as an immediate fix and found art through cultural immersion. Waterpod, Mary Mattingly, 2006, Intervention. Bench Press, Brolab, 2012, Intervention. Marketing and exhibiting interventions is challenging. Stiev Selapak and Vandy Rattana document their interventions with photographs and video. Mattingly and BroLab do the same. In each instance, artifacts and edifice related to the work are exhibited with images and video in the second life of the work. The exhibition and archive serve as a marking of the intervention and as means of sustaining the practice. In the case of BroLab and Stiev Selapak, what can also be considered more closely is the core vehicle behind the image—the collaboration, feedback loops, and learning that comes with this type of supportive sociability. Similarly, my students engaged and advised each other as well as participated in one another’s outcomes, resulting archives, and second lives of their actions. 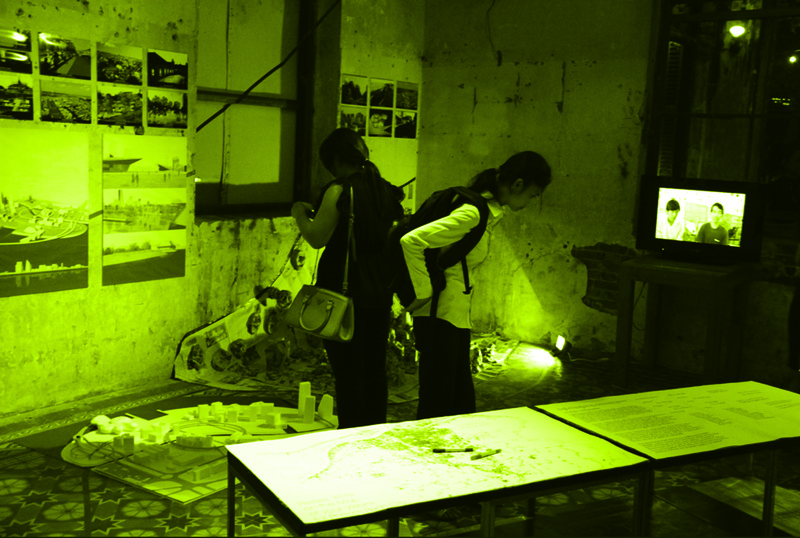 Their interventions and outcomes were exhibited at Sa Sa Bassac in Phnom Penh. workshop in action. 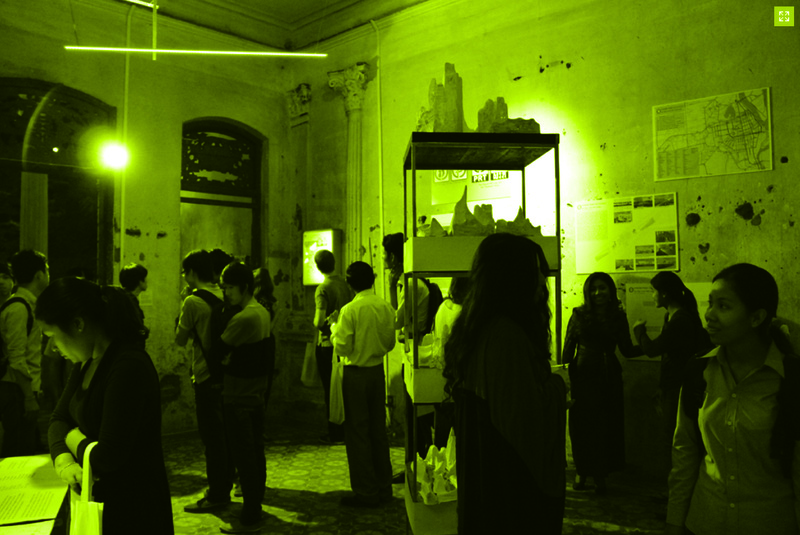 Phnom Penh Visions is a collaborative project between Lumhor Journal and Cambodian artists Kong Vollak and Prom Putvisal that provides new platforms for illustrating ideas for Phnom Penh. When thinking about the Olympic stadium as it relates to immersion and action, I begin to see how many artists today are reacting to the contradictions of discordant conditions. Interventionists find the most permeable areas and expose the effects of urban growth, renewal, and blight. The city is a living and breathing net and the interventionist mines its contractions. It is easy to consider interventions as small things. If you remain limited it to this understanding, then you'll probably appreciate certain qualities found in the work and perhaps some public outcomes. In fact, you might even start to consider urban interventions based on their impact per volume or spectacle ratio given that these factors work together. You might ask why make a work that involves people if said work doesn't directly impact these people? Fortunately, we can dig deeper. We can consider how the contractions in the urban net might play a role in forming the future of the city? In Cambodia, there is a slow collision underfoot—old infrastructure is merging with the new and being financed by foreign investment. It is literally filling in the lakes and creating a proverbial net that is becoming more visible. What is manifesting to some scale, be it small, are the reactions of a large youth culture and informed contemporary artists. In both Phnom Penh and New York and in cities all over the world, yet-to-be-imagined interventions in concert with the ‘arteventions’ will be the result of discoveries found in immersive practices linked to the terrain, people, and partnerships. In order to get to the action, we have to listen and immerse ourselves as artists and designers. What is accessible to all of us as an impetus to make is the means of listening and communicating. This is the basis of a cooperative practice that yields rich outcomes. This is my reflection.